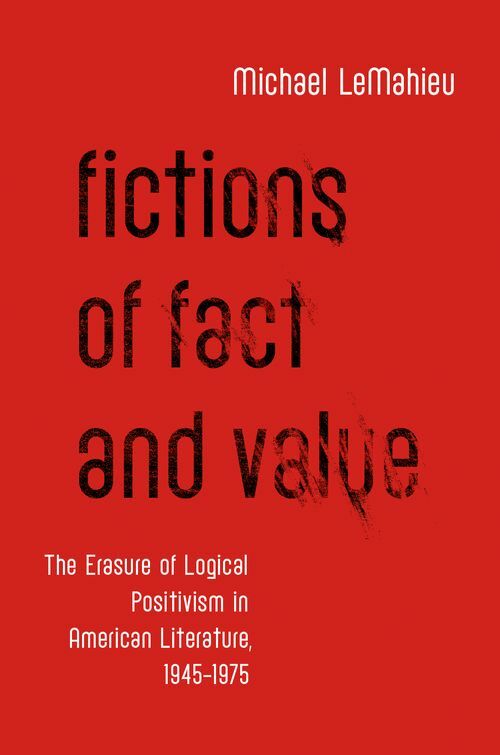 Fictions of Fact and Value argues that the philosophy of logical positivism, considered the antithesis of literary postmodernism, exerts a determining influence on the development of American fiction in the three decades following 1945 in what amounts to a constitutive encounter between literature and philosophy at mid-century: after the end of the modernism, as it was traditionally conceived, but prior to the rise of postmodernism, as it came to be known. Two particular postwar literary preoccupations derive from logical positivist philosophy: the fact/value problem and the correlative distinction between sense and nonsense. Yet even as postwar writers responded to logical positivism as a threat to the imagination, their works often manifest its influence, particularly with regard to "emotive" or "meaningless" terms. Logical positivist philosophy appears tactically in works of fiction in order to advance aesthetic strategies. Far from a straightforward history of ideas, Fictions of Fact and Value charts a genealogy that is often erased in the very texts where it registers and disowned by the very authors that it includes. LeMahieu complicates a predominant narrative of intellectual history in which a liberating postmodernism triumphs over a reactionary positivism by historicizing the literary response to positivism in works by John Barth, Saul Bellow, Don DeLillo, Iris Murdoch, Flannery O'Connor, Thomas Pynchon, and Ludwig Wittgenstein. The centrality of the fact/value problem to both positivism and postmodernism demands a rethinking of postwar literary history. Michael LeMahieu is Assistant Professor of English at Clemson University.